Downtown is a vibrant and lively district of Memphis, perfect for those wanting to live in a pedestrian and bike friendly part of the city or to minimize their commute. 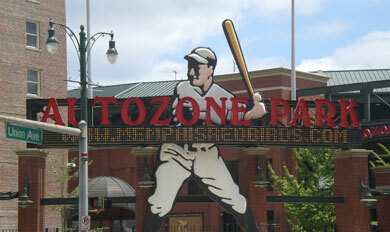 Downtown is home to the Memphis Redbirds, Memphis’ triple-A baseball team, the headquarters of Autozone, St. Jude Children’s Research Hospital, the Fed Ex Forum, many upscale restaurants and stores, the Peabody Hotel (which houses the famous Peabody ducks), and Beale Street. Located at the southern end of Main Street, close to the Amtrak train station, this historic area of Downtown boasts excellent restaurants and bars as well coffee shops and retail outfits. Housing options are diverse and ranges anywhere from converted warehouses, to purpose built apartment buildings, to single family homes. On the last Friday of each month, South Main comes alive during the Trolley Tour; in the summer, check out the Memphis Farmer’s Market which is held at Central Station on Saturdays from April to October. 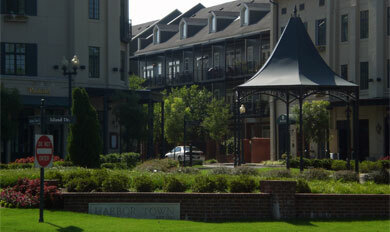 Harbor Town is a secluded neighborhood on the banks of the Mississippi. The housing in Harbor Town is very diverse and includes upscale and moderately-priced single family homes, condos and apartments. Harbor Town has many amenities including its own grocery store, Miss Cordelia’s, several restaurants, a gym, InBalance Fitness, a Montessori school, and a boutique hotel. Uptown is a diverse neighborhood located just east of Harbor Town. It is ideally situated for those working in the Medical District or at St. Jude’s and for those looking for a vibrant family-oriented community close to the excitement of Downtown but with a small town feel. Revitalized through a public-private enterprise, Uptown was relaunched in 2004 and is now a community of over 600 apartments and 250 family homes. The community committed to ecologically responsible principles and boasts and active resident’s association and community garden.